What is our responsibility as people of faith? What does our faith teach us about the Earth? The Sisters of the Holy Names of Jesus and Mary (SNJM) stand with all who seek to sustain Earth and look to the future of the planet. 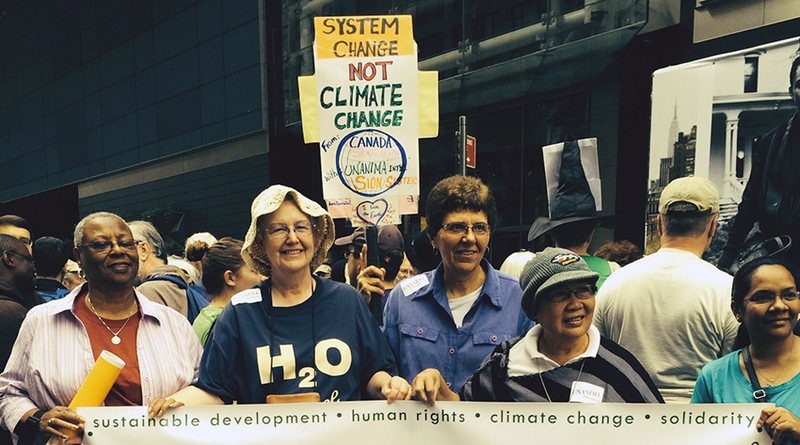 Concern for this issue led the Sisters of the U.S.-Ontario Province to select the theme, “Choosing Sustainability: Abundant Life for All,” for their 2015 Province-wide gathering. Sister Simone Campbell, SSS, Executive Director of NETWORK, is keynote speaker for the event, coming on the heels of Pope Francis’ influential comments about global warming (“‘Laudato Si’ – On Care For Our Common Home”). The links below provide a glimpse of some issues important to the SNJM U.S.-Ontario Province.